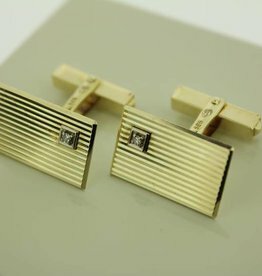 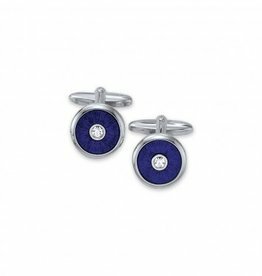 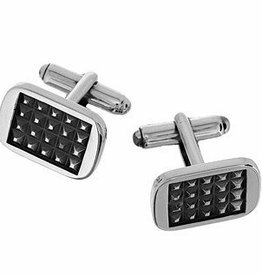 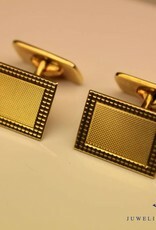 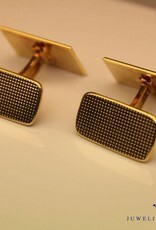 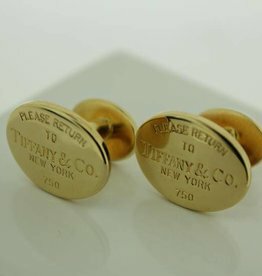 Beautiful and classic,very stylish gold cufflinks. 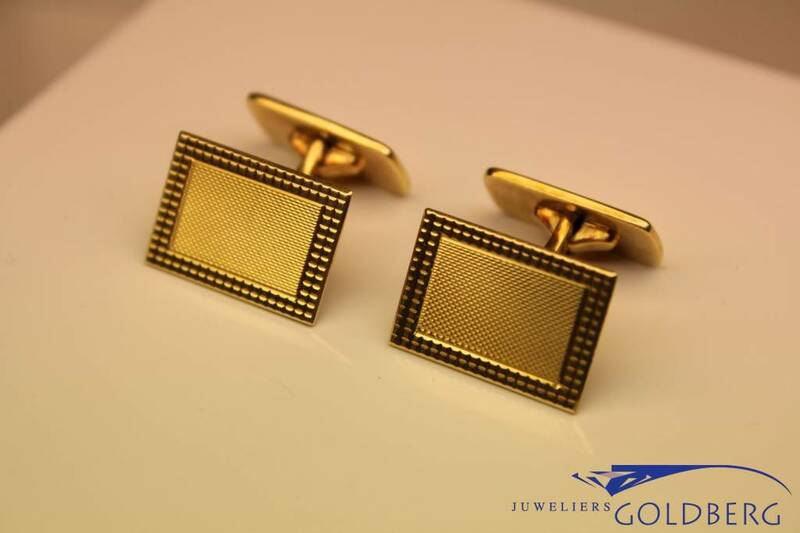 These solid 14 carat gold cufflinks are at the front 18mm long and 12.5mm wide and at the back 17.5mm long and 9.5mm wide. 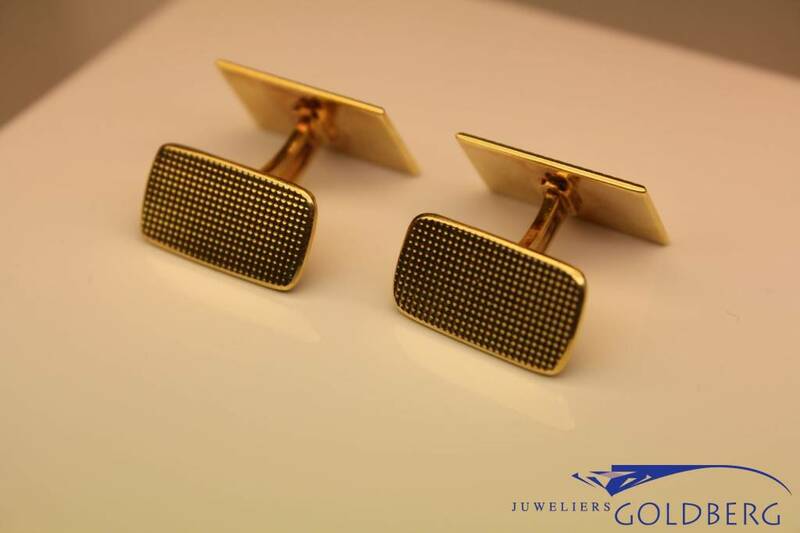 A very stylish and timeless design, that will suit many outfits.